Shamsi Music to feature in The Jazzy Koum Ben Festival. | Shamsi Music | Creating memorable musical experiences. Shamsi Music to feature in The Jazzy Koum Ben Festival. 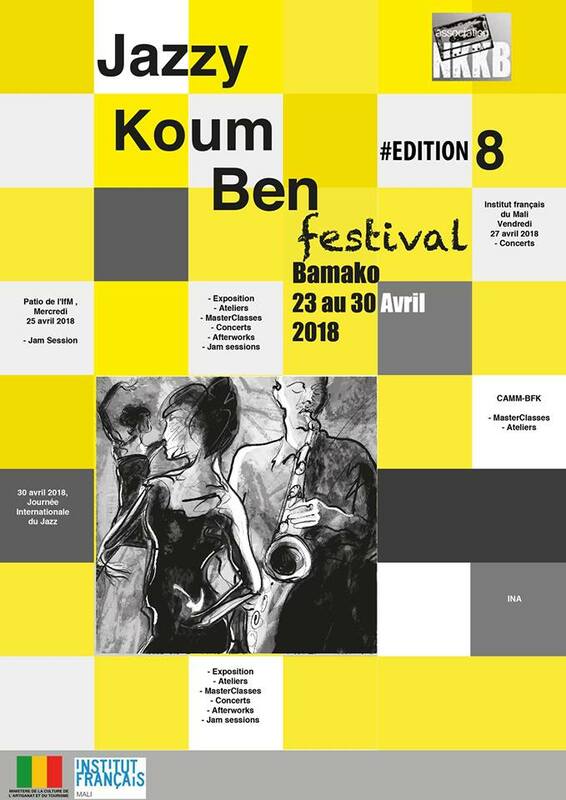 Created in September 2008, the Nyon Kon Koum Ben association had the goal of promoting the emergence of innovative musical proposals and experiences in Mali, by promoting the meeting between musicians from the South and musicians from the North through a festival called Jazzy Koum Ben Festival. The first edition of this jazz festival and related music was held in May 2009 in Bamako (Mali). The festival offers, each year and for one week, shows in partnership with a plurality of cultural sites in Bamako and sometimes in the region, thanks to a strong artistic line: the musical exchange between artists from different horizons. It is, above all, to offer the Mali citizens important artistic meetings (encounters between instrumentalists, but also between artistic disciplines) between Malian and international artists around jazz and related musical styles. Shamsi Music are honored to grace the Jazzy Koum Ben Festival stage in Bamako, thanks to the collaboration and support of the Safaricom International Jazz Festival. Come experience the enchanting jazz music of East Africa, more specifically, Kenya! Previous post The MayDay Concert. Next post Shamsi Music DOADOA 2018 Showcase.